Ticks are arachnids that belong to the same family as spiders and mites. They are parasitic and feed on the blood of host animals. They are visible to the naked eye, but start of around the size of a pin head before swelling with blood as they feast. Animals living in the Southern States or near heavily wooded areas will have increased exposure to ticks which like to live in thick long grass, as it allows them to attach to host animals as they walk by. They are most active during the late spring and summer months and they are not fussy which breeds of animals they feed on. However animals that spend a lot of time outdoors will be more susceptible to ticks. 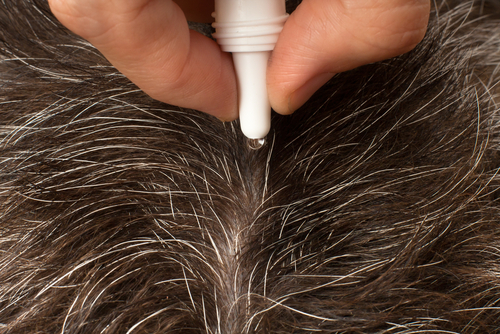 Animals with few ticks can present with little or no symptoms and it is often not until there is a larger infestation or infection from the bites that signs become apparent. If and when symptoms do materialize they can include itching, scratching and visible red or inflamed irritations on the skin. Ticks can transmit a number of diseases including Babesia, Cytauxzoonosis, Lyme disease and Mycoplasma. Some animals can also have allergic reactions to tick bites which result in infections. Symptoms from these reactions or diseases can include fever, lethargy, loss of appetite and pain and can last for several days or several weeks. 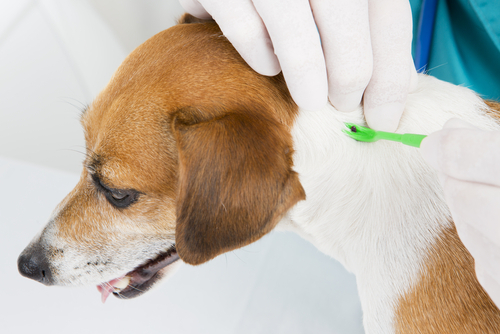 If you are concerned that your pet has developed illness from a tick bite, consult with your veterinarian as soon as possible. Dogs and cats that spend a lot of time outdoors will be more at risk, but checking your pet carefully on a regular basis will help you prevent a tick infestation from taking root. Run your hands over your pets coat to check for any unusual lumps, and check carefully around the head, feet and ears as these are the preferred locations for most ticks. What do I do if I spot a Tick? It is best to remove a tick as soon as you spot it. Treat the area with rubbing alcohol and remove the parasite using a pair of tweezers. Ensure that you remove all parts of the tick as it is possible for parts of it to remain embedded in your pets’ skin which would cause infection. The ticks’ blood could be infected with a number of diseases so avoid getting it on yourself or your pet. Ticks are notoriously hard to kill and throwing it away or trying to drown it in the toilet is not always effective. Instead submerge it in a jar of rubbing alcohol to stop it from reattaching to your animal. There are many topical treatments available that both treat fleas and kill ticks whilst protecting against future infestation. Speak to your veterinarian to select the right treatment for your pet. As with most illnesses, prevention is almost certainly better than cure! Although you can speak to your veterinarian about topical treatment to protect against tick infestation, there are a number of things you can do to make your surrounding area a less hospitable environment for ticks too by ensuring that your lawn is mowed regularly and that any tall weeds are removed. We offer a 10% military discount on select services (not product) to all military personnel past and present, with presentation of a valid military I.D. Digital radiology allows us to obtain accurate images of problematic teeth so that we may determine the optimal course of action for your pet. Use the form below to REQUEST an appointment. We will contact you to CONFIRM whether the date and time chosen are available. Thank you! 248 NW Garden Valley Blvd.